Styled to match Road King® Custom models, the large backrest area is great for long touring. 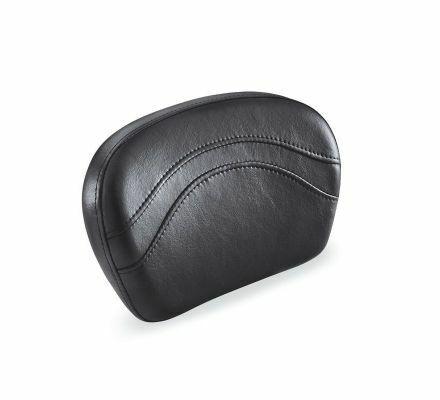 The contoured pad shape provides additional low back support. Fits Standard-Height H-D® Detachables™ Passenger Sissy Bar Uprights P/N 52300324, 52627-09A, 54247-09A, 52933-97C or 52805-97B, Tall H-D® Detachables™ Passenger Sissy Bar Upright P/N 52723-06A, Premium H-D® Detachables™ Sissy Bar Upright P/N 52300257 or 52300258. Also fits '18-later Softail® models equipped with Short or Standard Height HoldFast™ Sissy Bar Uprights. Pad height 8.0"; width 12.0".